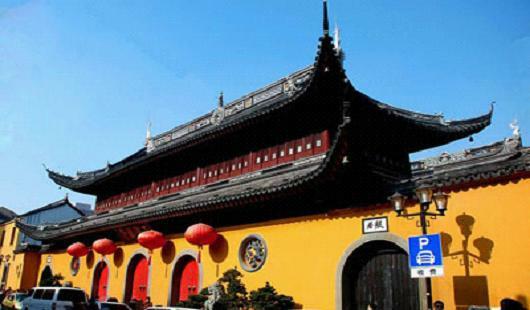 The Jade Buddha Temple is a Buddhist temple in Shanghai. As with most modern Chinese Buddhist temples, the current temple draws from both the Pure Land and Chan traditions of Mahayana Buddhism. It was founded in 1882 with two jade Buddha statues imported to Shanghai from Burma by sea. These were a sitting Buddha (1.95 metres tall, 3 tonnes ), and a smaller reclining Buddha representing Buddha's death. The temple now also contains a much larger reclining Buddha made of marble, donated from Singapore, and visitors may mistake this larger sculpture for the original, smaller piece.